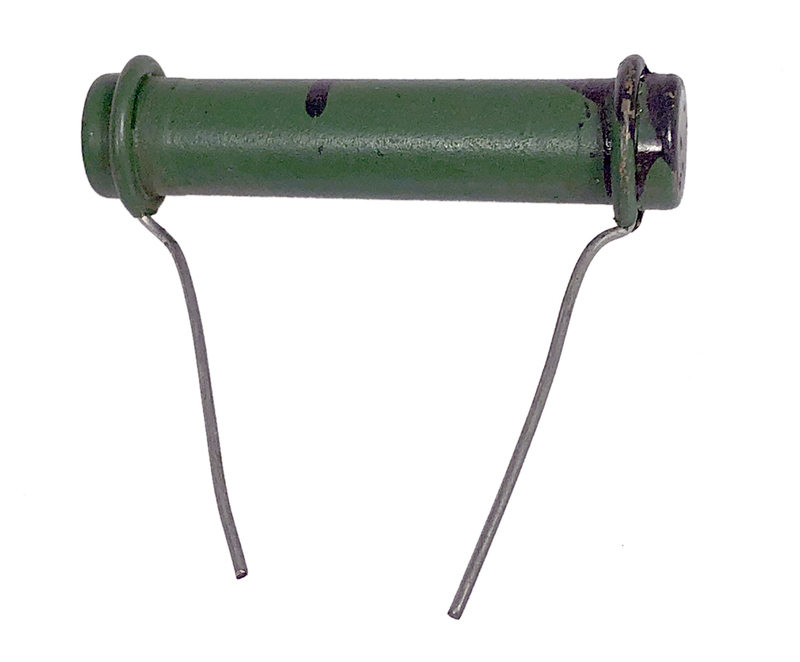 Milwaukee metal case resistor with 6" leads. 10%, 8 ohm, 50 watt (100 watt with heatsink). 1/4" QC & eyelet. Great audio load. 3/4" x 3/4" x 4-5/16". 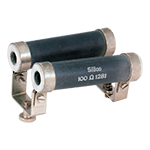 These resistors are slightly inductive because they have a wire element but many of our customers use them for audio loads with great results. 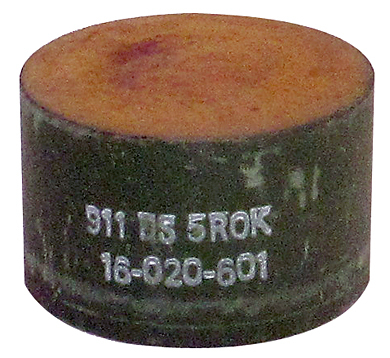 Milwaukee metal case resistor. 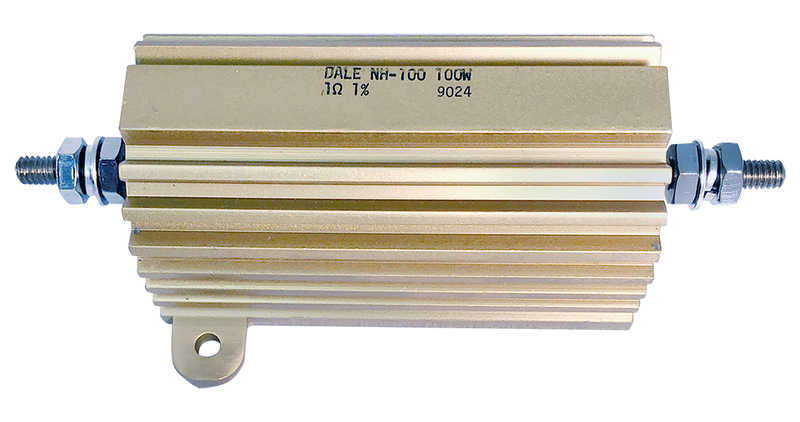 10%, 8 ohm, 50 watt (100 watt with heatsink). 1/4" spade lugs. 3/4" x 3/4" x 4-5/8". 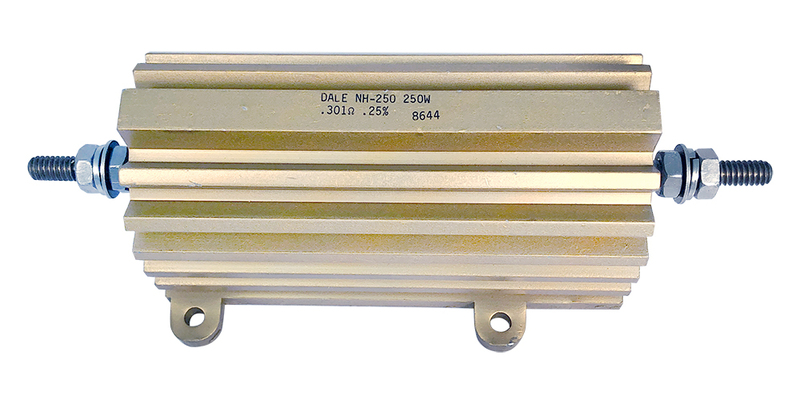 These resistors are slightly inductive because they have a wire element but many of our customers use them for audio loads with great results. 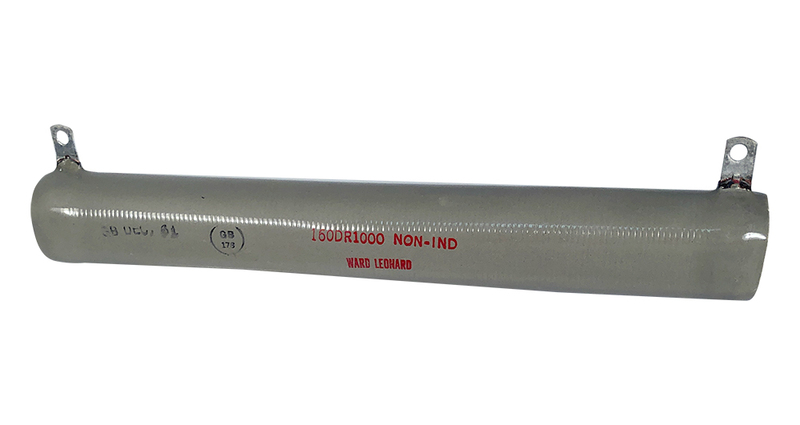 Memcor Non-Inductive Termination Resistor. Tubular style with tabbed terminals. 100 ohm, 225 watt. 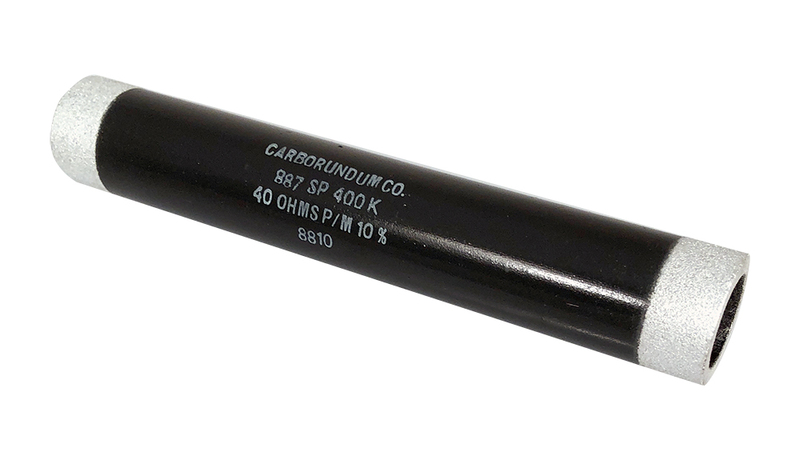 1-1/4" diameter x 10-1/2" long. Use for in-series / parallel for different wattages and resistance values. 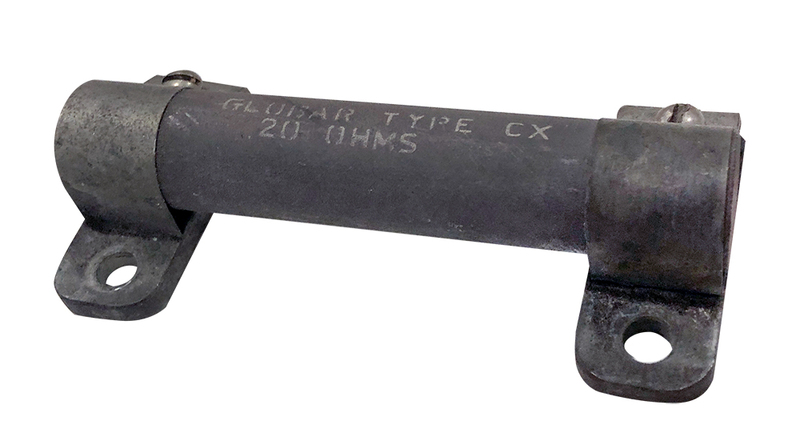 Type E. Used in Gates / Harris equipment. 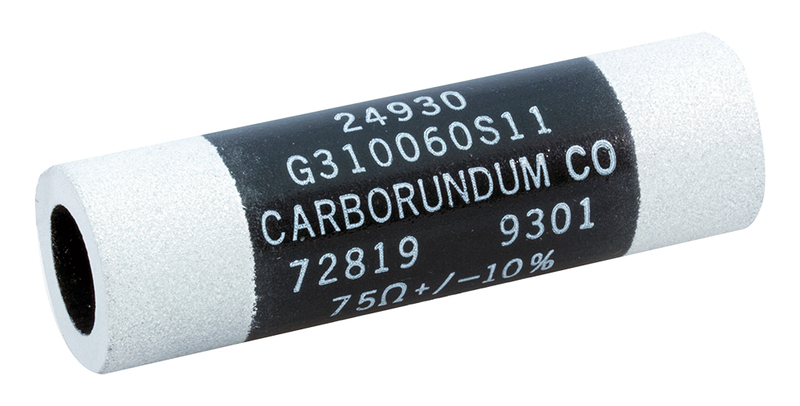 Carborundum 200 ohm, 350 watt, 10%, tubular ceramic/carbon style, non-inductive radial tab resistor. 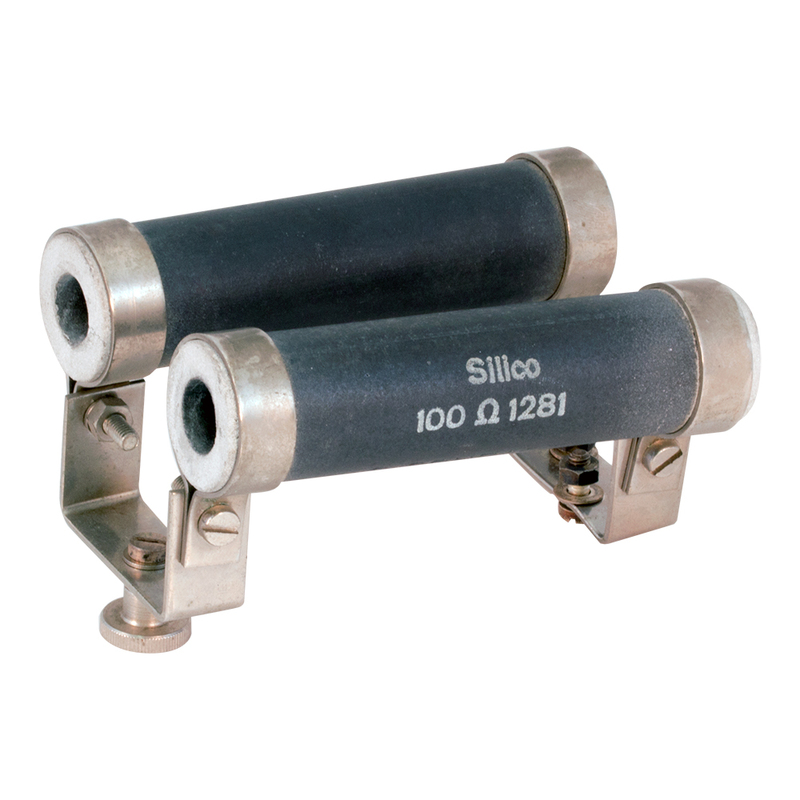 1-5/8" D x 18" L.
Silico non-inductive carbon resistors. 100 ohms, 60 watts. 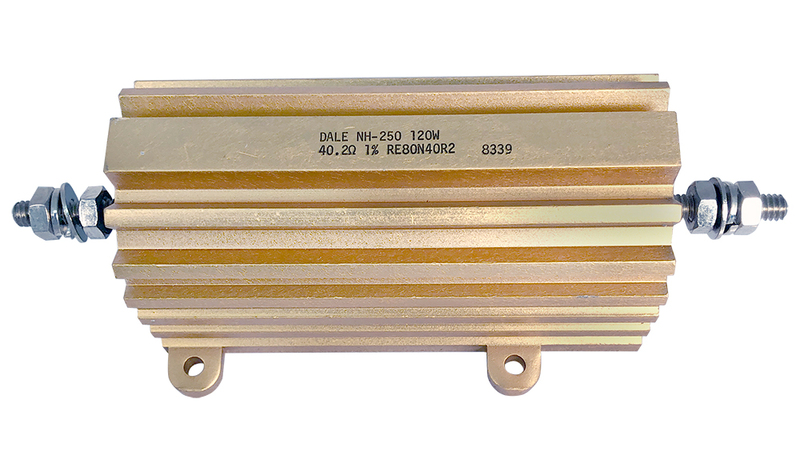 Two 100 ohm resistors in parallel = 50 ohms, 120 watts. Each resistor measures 1" x 4". 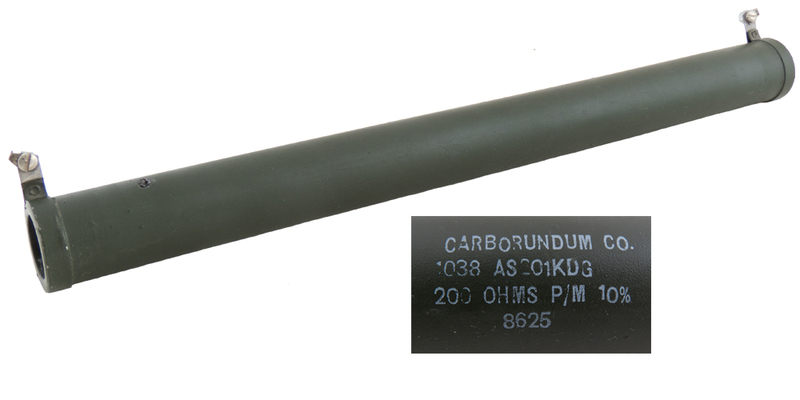 Stackpole non-inductive carbon resistor. 2.5 ohms, ±10%, 30 watts. 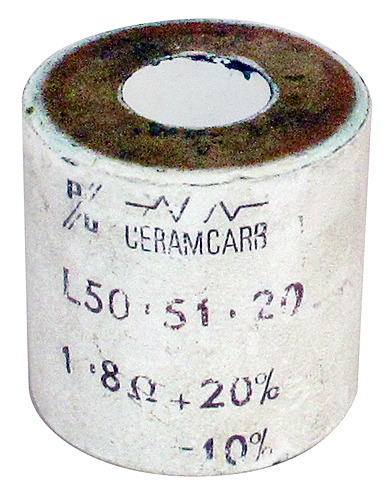 Type C. 0.744" outside diameter x 2.48"L x 0.243" inside diameter. Pure non-inductance! !